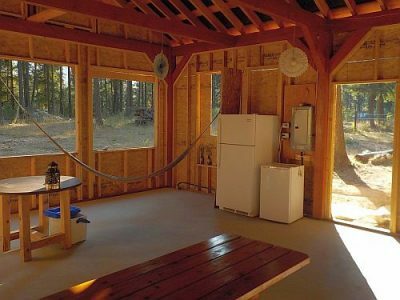 This is a budget campground with tent and RV sites, a hut, rooms in a house and a shared Community Building. We are located in the Slocan Valley 1/2 hour drive from Nelson, Castlegar, and Slocan Lake. 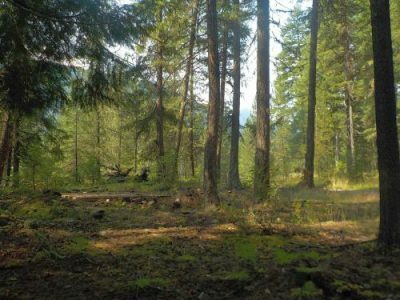 This is a quiet forested campground in a residential area in Sinixt territory. Recommended activities include floating down the river, canoeing the lake, hiking or climbing in Valhalla Provincial Park or visiting Nelson. We are surrounded by beautiful mountains and rivers. This valley has a very interesting (see Sinixt, Doukhobor and Slocan Valley) history and culture, and many outdoor activities and events. There are many other special places nearby such as the Goddess Pools and the Hippy Hole. The host lives on the property and he can leave you alone or be available for an orientation, questions or help. The host has guidebooks and maps with directions for local walking, biking and vehicle destinations, including trails, rivers, lakes, hot springs. The host is open to interacting with and hearing from guests, especially in outdoor and musical ways. The host welcomes feedback and is happy to offer advice or guidance on real estate, recreation, artists, healers, skiing, plant medicines, directions etc.